Hollowtech II - providing the best balance of stiffness, strength, weight, and rotating performance. 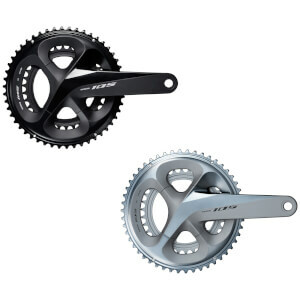 This crankset is perfecf for my needs. I decided to try Shimano. I belive this chainset is exactly the right one to be introduce to the Shimano line.